The One Who Loves You Now is released on Monday 25th in the UK. The deluxe version of A features the documentary ‘Agnetha: Abba and After’ recorded by the BBC earlier this year plus the music video to “When you really loved someone”. Agnetha & Gary -New Singles! Comments : Comments Off on Agnetha & Gary -New Singles! 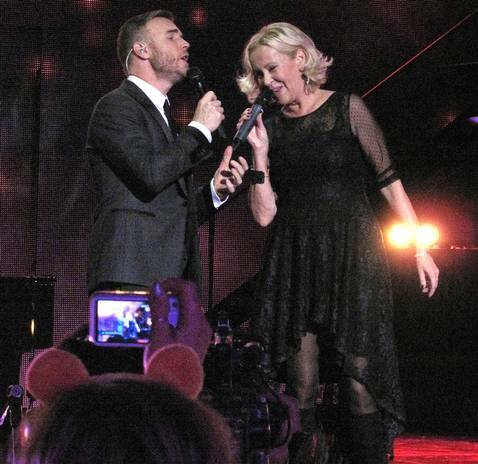 ‘I Should’ve Followed You Home’, the beautiful duet between Agnetha and Gary Barlow is out now! 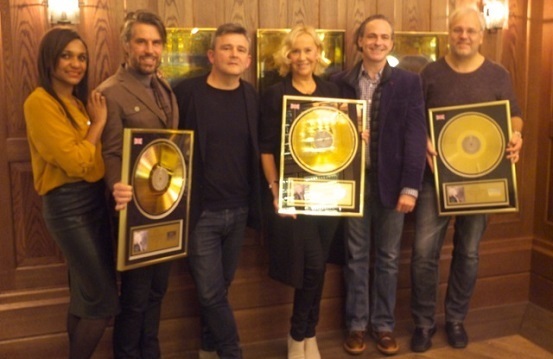 RTIST Gold Discs for Agnetha – on stage again after 25 years! On Tuesday night Agnetha stood on stage for the first time in 25 years and sang before a cheering audience gala in London. The day after the celebrated singer was awarded with gold records from both the UK and Australia. The venue for her secret comeback was the Hammersmith Apollo in London, where she worked with Take That member Gary Barlow performing the duet I Should’ve Followed You Home on the BBC’s big charity event Children in Need . The English crowd’s jubilation knew no bounds when Agnetha – who since ABBA’s breakthrough with Waterloo in the Eurovision Song Contest nearly 40 years ago, is something of an icon in Britain – appeared at the gala on her first stage appearance at the age of 25. 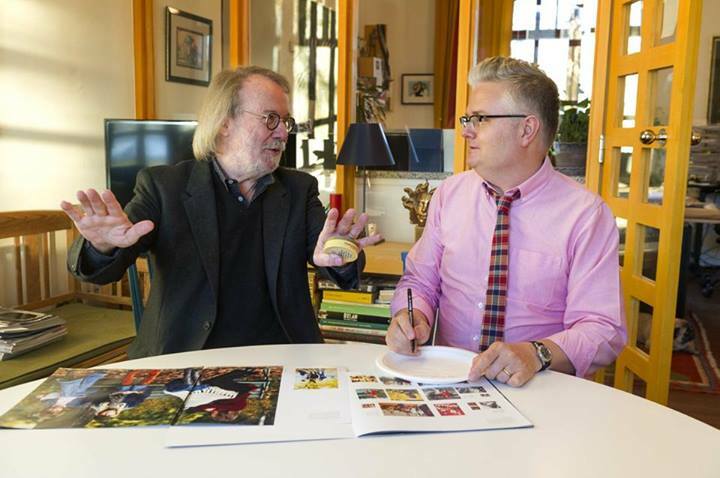 – Agnetha’s performance was a secret until she walked out on stage at eleven o’clock on Tuesday night , says Peter Nordahl , who along with his co-producer Jorgen Elofsson on the album A [ Triple- A / Universal Music ] flew to London with the singer as early as Saturday. 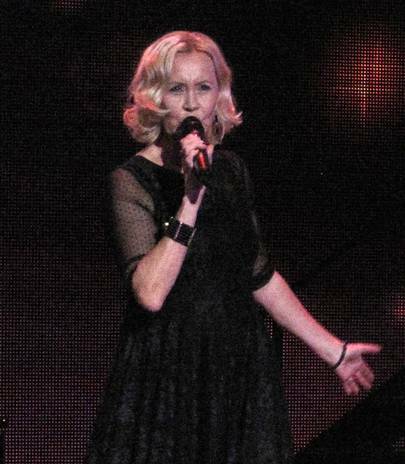 – It was fantastic to see Agnetha enter the stage before a packed Apollo, who had no idea she would be there. Quite naturally , she goes in and own’s the room. Invites you to dance with Gary Barlow both of which perform at the absolute top level. A somewhat unexpected and historic moment . Jörgen and I never cease to be amazed by this wonderful and talented woman. She was absolutely amazing! Last night the whole party dinned together and celebrated the distribution of gold records from both the UK and Australia. BBC Children In Need gala broadcast Thursday, November 14 on BBC One. Other artists who participated in the gala are , among other things The Wanted , Tom Jones, Barry Manilow , Robbie Williams, The Little Mix, Kings of Leon and Jeff Lynne . Although it was Agnetha Fätskog by far the most high-profile star at the gala. I Should’ve Followed You Home is the second single taken from Agnetha Fältskog’s album A which was released in May this year.